Steve earned his Master of Music degree from the Eastman School of Music in Rochester, NY, where he majored in jazz studies and trumpet performance. He toured with the Woody Herman and Buddy Rich Big Bands as a solo trumpet performer. 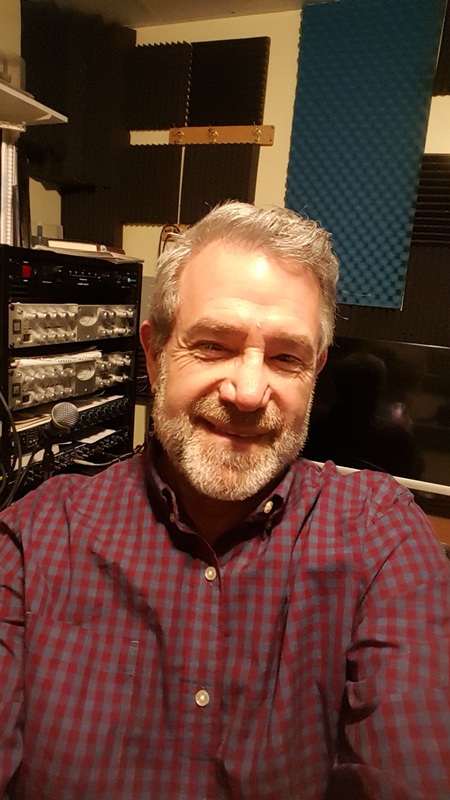 Steve then freelanced in New York City and played trumpet with the renowned Brooklyn Tabernacle Choir, and then, for 7 years, worked as the Director of Arts and Worship at Bethel Christian Fellowship in Rochester, NY. Currently, the Harrows lead worship at Covenant Life Church, and Steve continues to dedicate his musical talents to composing and recording for Sing The Word®. Anne is the Associate Professor of Flute at the Eastman School of Music, where she earned her Bachelor and Master of Music degrees in flute performance. 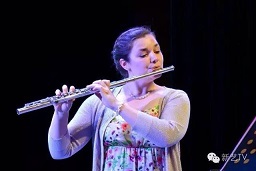 Currently, she is the solo flutist of the Lake Placid Sinfonietta, the professional chamber orchestra of the Adirondacks. She has been principal flutist of the Florida West Coast Symphony and has performed with the Eastman Virtuosi, the Rochester Philharmonic, the Buffalo Philharmonic, the Savannah Symphony, the Florida Wind Quintet, and the Spoleto Festival. Her most significant (and challenging) accomplishment is home-schooling her four children. Hannah is currently earning her D.M.A. at the Eastman School of Music as a vocal performance and opera major; she also holds an M.M. and B.M. from Eastman. 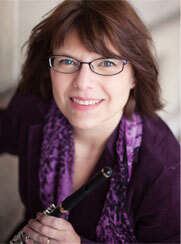 She also teaches at the Eastman Community Music School and manages the Pathways Program. At age six, she began to take piano lessons; along with this endeavor came much kicking and screaming when it came time to practice. 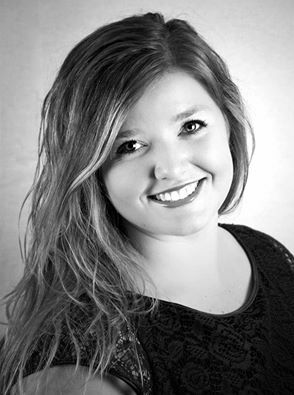 Hannah began formal classical voice lessons at age fifteen. She sang with the Eastman Rochester Chorus for several years, and competed and placed in many classical voice competitions. She still performs and leads worship with her family as lead singer and bass guitarist. And when she's not in classes, doing homework or singing, she enjoys listening to (and singing along with) everything from opera to Christian Contemporary to jazz, and fishing with her brothers. Naomi holds a Bachelor of Music in flute performance with Highest Distinction from the Eastman School of Music, where she studied with Bonita Boyd and Anne Harrow. She is currently pursuing her Masters of Music at Lynn University with Jeffrey Khaner and subbing with several local orchestras. She got married in June 2018, and her husband is a trumpet player. Micah is pursuing a Bachelor's in Percussion Performance at the Eastman School of Music. Our basement has housed his various percussion instruments over the years: a set of timpani, drum set, marimba, and a collection of hand-drums from around the world. (We tried to sound-proof his practice room....) Micah is intending to pursue a career in orchestral percussion, and has been in the finals for several major auditions. Micah spends his free time bass fishing the Finger Lakes and Adirondack lakes from the family boat. Elijah is a high school senior at a Christian private school. 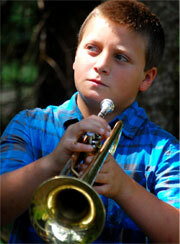 He enjoys weight lifting and participates in his school's football and baseball teams. In the past, he has been a member of the ECMS Trumpet Ensemble, the Rochester Philharmonic Youth Orchestra, and the Hochstein Youth Symphony Orchestra. In 2016, he won the Hochstein Youth Symphony concerto competition and performed a concerto with that orchestra. Like his brother Micah, Elijah is an avid fisherman. Elijah made his recording debut when he was only one week old! Listen for his special sound effects, which include both crying and yelling, on the earlier Sing the Word CDs. Gifted, Talented, Skilled or What?